Jimmy Jib Camera Cranes specialise in providing the latest Jimmy Jib equipment and experienced jib operators. Our impressive credits list includes work for local and overseas clients and includes dramas, documentaries, commercials, music videos, entertainment & sport. We operate the latest Jimmy Jib Triangle equipment to the highest safety standards and have an excellent track record for customer satisfaction. Jimmy Jib Camera Cranes have three comprehensive Jimmy Jib Triangle Camera Crane Systems available for video and film production. 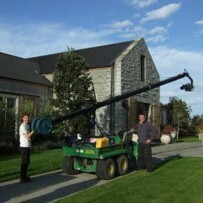 Based in Auckland, New Zealand – the jib systems are easily transportable and can be available anywhere in New Zealand. 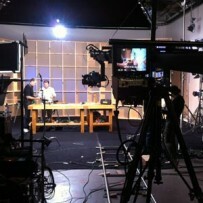 Everything required to set up and operate the Jimmy Jib Camera Crane is included in the package. The system can run from 12v DC or 240v AC power and the jib arm can be mounted on a wheeled base for easy relocation of the jib while rigged, making it extremely portable and flexible when a variety of shots are required from different positions.